From the dawn of civilization; Human beings are discovering different mysteries of the universe and because of such curious properties we are now enjoying many sorts of comforts and luxuries. The ability to think and question became the key to any discovery and invention. What are the rules that govern the reality? Perplexed humanity from the beginning of our understanding and of course with questions have come answers but, with varying degrees of sensibility. For example -: Initially we thought; all the matter was composed of five elements like fire, earth, sky, water and air. Then, with time we knew that the elements placed in the periodic table are responsible for all the objects in the cosmos. However, in the last 50 years; we have made some rapid progress and our understanding about nature in this time period can explain the phenomena from the behavior of atom to the burning of a star. 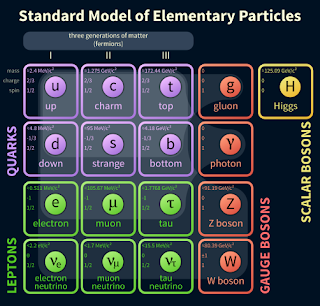 This deep understanding about the nature has a name and physicist call it “THE STANDARD MODEL OF PARTICLE PHYSICS” or, simply just “THE STANDARD MODEL” for short. 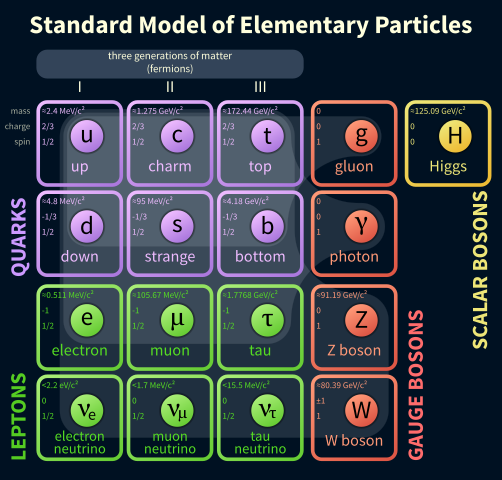 To understand about “The standard model” we need to recall some basic ideas that we learned at school. 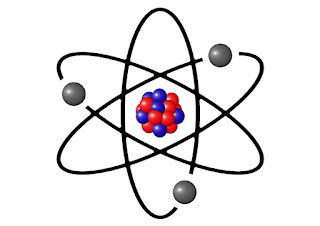 In basic chemistry class; we heard that every matter in the universe is made out of the elements present in the periodic table and all such elements are composed of “Atoms”. For example-: we learned about hydrogen atom, oxygen atom, nitrogen atom etc. Again, we learned that , in an atom there are smaller particles called “Electrons” which revolve around a heavy nucleus composed of protons and neutrons as shown in below figure. 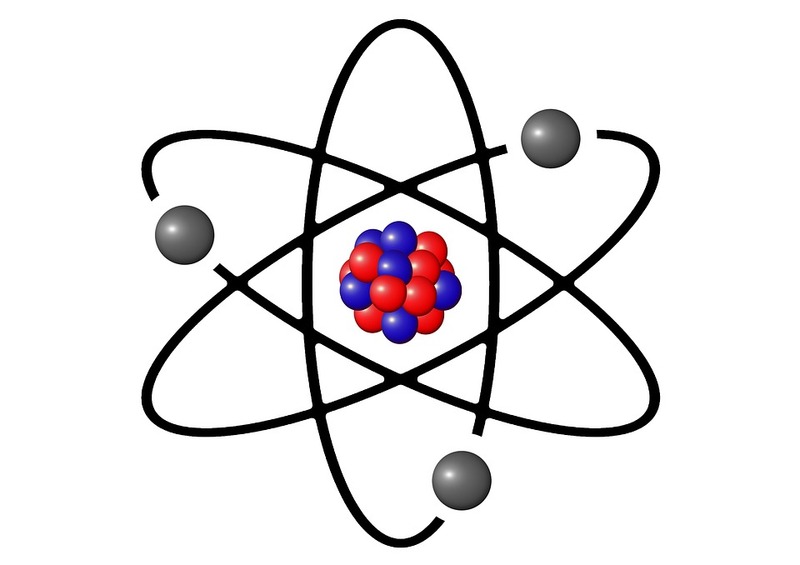 This understanding of atom makes us realize that, these three sub-atomic particles (protons, neutrons & electrons) are the real building blocks of the universe which when arrange with different numbers produce different kinds of elements that we see in a periodic table. But, this is not the end. During 1940 AD to 1960 AD; Scientist discovered many more sub-atomic particles than one can ever think of. To deal with all such sub-atomic particles scientist needed an order to arrange them based upon the similarity in their properties. This gave birth to what we call a “Standard model”. In the mid 1960's; when our modern understanding of the sub-atomic realm began to develop, physicist realized that the familiar proton and neutrons are also made of even smaller particles and they are named as “Quarks”. 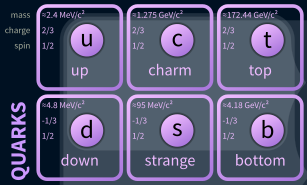 Out of these quarks; “Up” and “Down” quarks are found inside proton and neutron while the others are necessary to explain vast number of discoveries made in particle accelerators. Another type of similar sub-atomic particles is “Leptons” and the most familiar type of lepton is “Electron”. But, there are other 5 leptons as well. 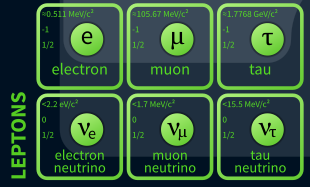 Among all these leptons; 3 of them are electrically charged whereas the other 3 are neutral. 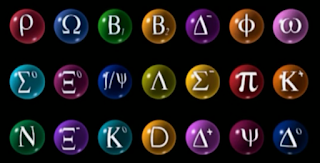 The quarks and leptons are together called as “The Fermions”. 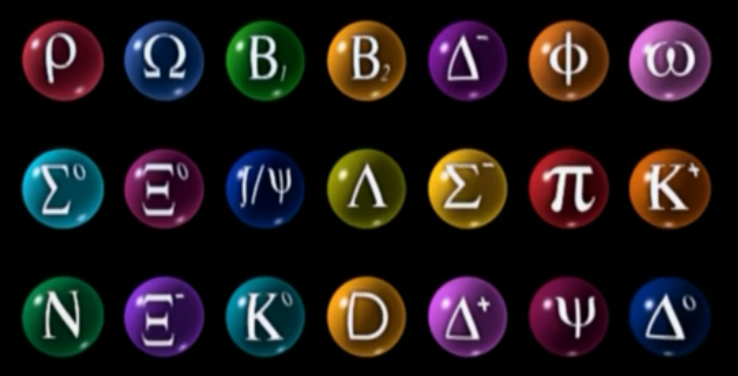 Each and every matter in our visible universe is made out of these fermions. The “Up and Down quark along with the electron” is observed easily everywhere as they present in each and every object of visible universe whereas the other types of fermions are found in particle accelerators . Bosons are the force carrier particles and without boson; fermions can’t interact with each other hence expecting any visible matter around us will be impossible. Each fundamental force has a respective boson which when transferred from one matter to another they experience force. The most familiar force “Gravity” is a very weak force and physicist don’t find its traces in quantum realm. Some suggest gravity as a “pseudo-force” (, i.e., it seems like a force but, in reality it exists because of the bending of space-time continuum due to massive objects) whereas other physicist theorized “graviton” as the boson of gravity but, it’s not demonstrated yet. From these building blocks with a right arrangement, we can create the whole universe. Though the “Standard model” is the most successful theory ever devised but, still there is lot of mysteries yet to be revealed. 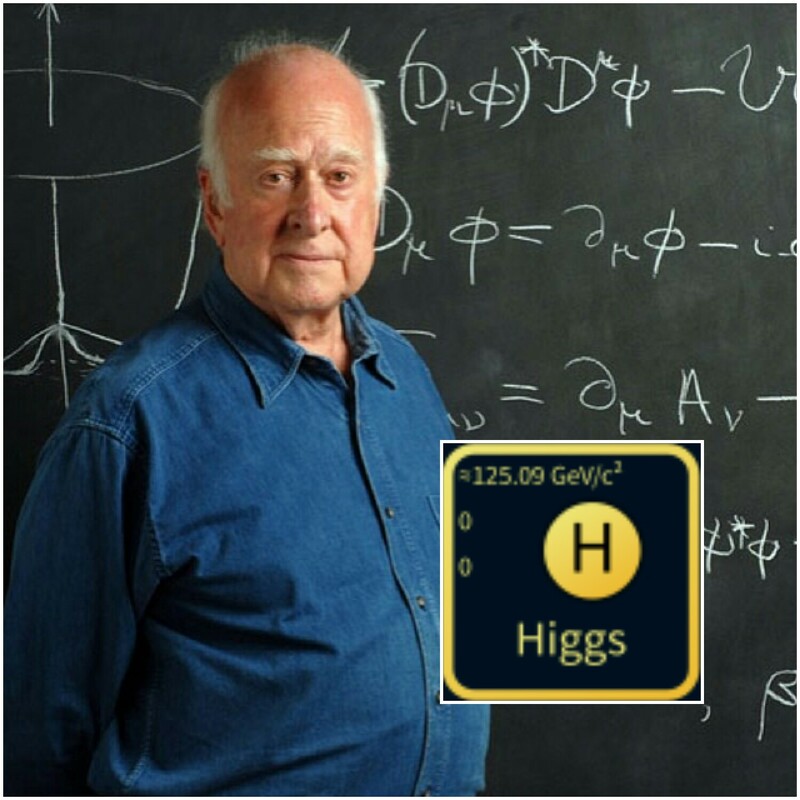 For example; the standard model also includes a particle called “The Higgs boson” which is thought to give mass to the other particles but, still we have to explore a lot to know about the origin of “mass”. Why there are only 12 fermions, 4 bosons? Why leptons and quarks are different? Why there are four fundamental forces and where the “gravity” fits into the picture? Etc. So there are plenty of mysteries to solve. Stay tuned with us to know such amazing things and STAY CURIOUS.